Running along the Schuylkill River Trail near the Temple University boathouse. As many of you know, the Philadelphia Marathon is just around the corner. Runners will flood the streets of Philadelphia on Sunday, November 18 for the marathon or a day earlier for the half-marathon. With just 12 days to go to the 25th anniversary race, runners are in serious training crunch time — especially if they’re trying to hit their personal best. 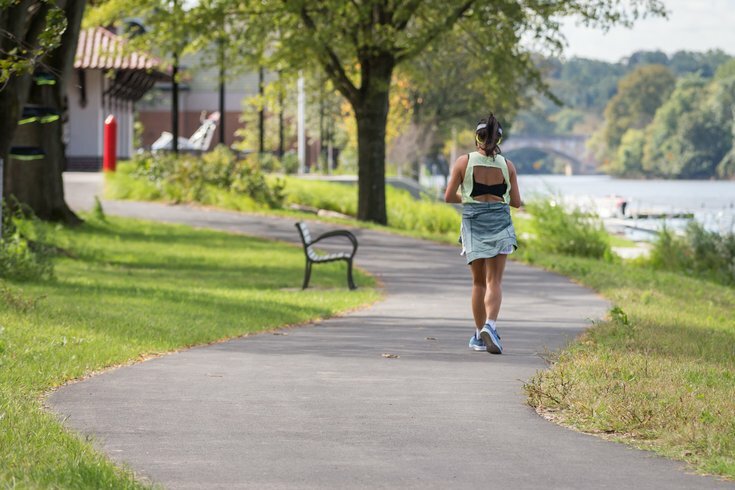 So for you runners who are trying to squeeze in some last-minute training miles, or for runners who are just clocking miles for fun, Runner’s World created a 90-minute playlist that’s perfect for fall. This playlist, created by runners for runners, features tunes “from synth-drenched singles to power-pop classics. We’ve handpicked 26 seasonal songs to help you finish a half, crush a Turkey Trot, or warm up for a backyard football game,” Runner’s World assures. Oh, and it's worth noting that all of these songs have one thing in common: a beat that will keep you moving, which is much-needed after a lengthy training season! Check out the playlist below to see if it’s your cup of tea. If so, queue it up for your next run!